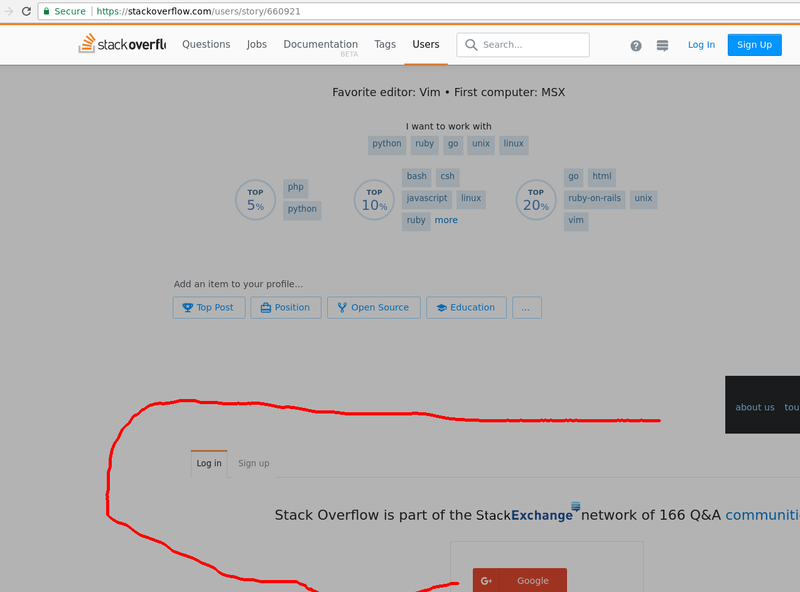 I made my developer story public and went to https://stackoverflow.com/users/story/660921 in another browser. I was not logged in (note: I have since made it private again). I can't click anywhere due to the grey overlay thingy, much less use the form. The entire page is broken and needs a hard refresh. So either the form is broken, or those "Add an item to your profile" shouldn't be shown. Probably the latter, since it looks rather weird for people browsing a developer story. Thanks for your report. This has now been fixed. 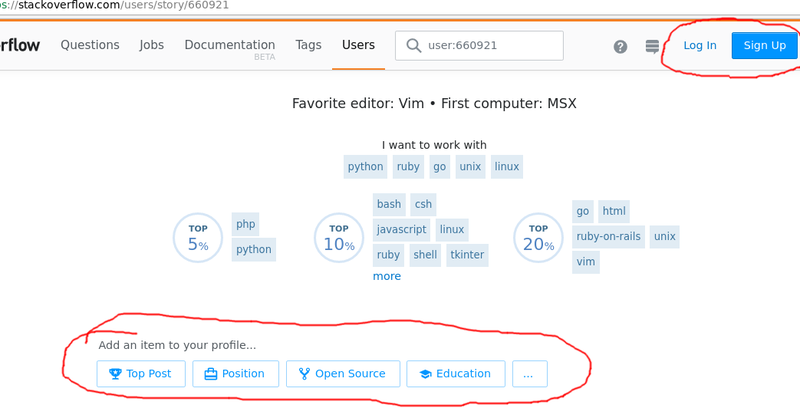 We are testing different ways to add items to your dev story, and in the midst of implementing the new UI, forgot to check if the story was being rendered in edit mode before showing the "Add an item to your profile" section. Oops!